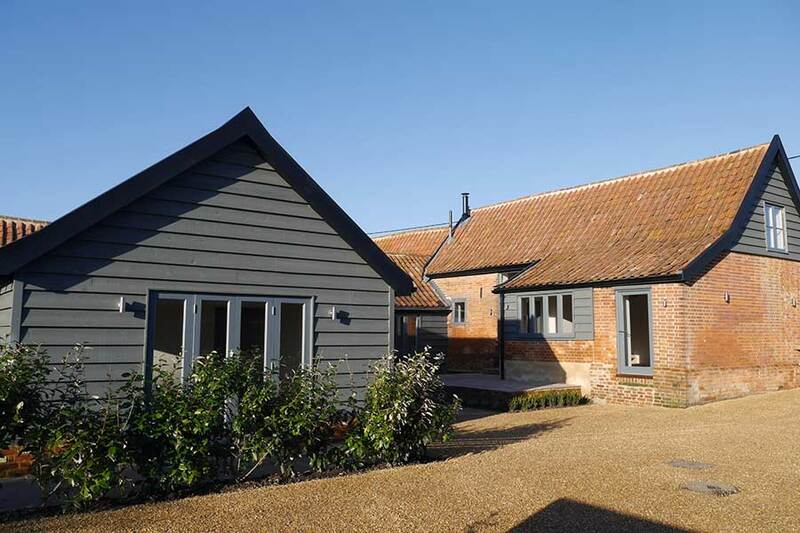 Built to the same spec as the barns for Redgrave, this project demanded much of the same care and skill set required as before. 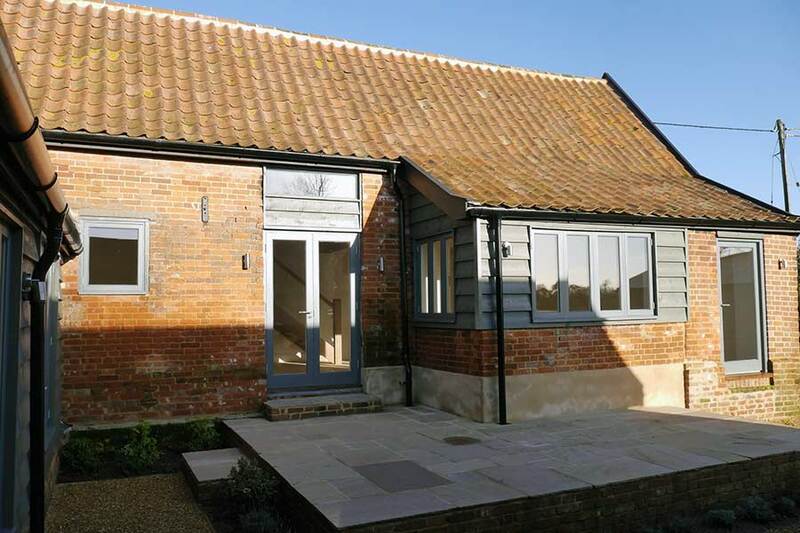 A renovation and conversion of the old barn with a new mezzanine floor and timber frame extension, again all tied together by featheredge boarding. 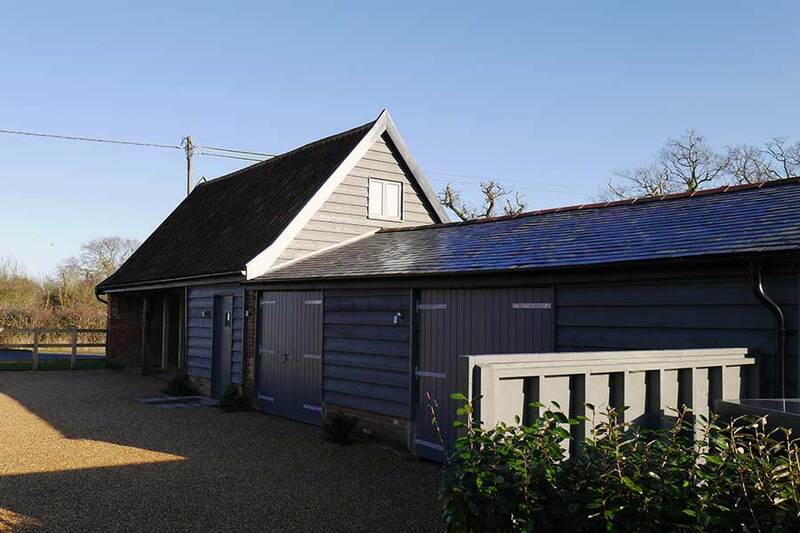 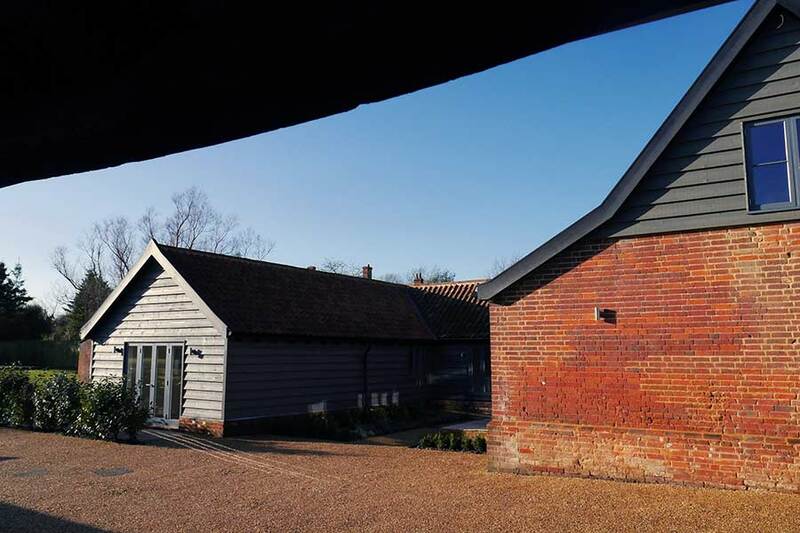 The once dilapidated old cart lodges are now an attractive annex and garages.